Last week we announced our very first TNW Latin America Conference, to be held in São Paulo this year. For those of you who have missed the announcement, be sure to read up on our TNW Latin America coverage or grab one for the early bird tickets. SWITCH is the leading event for entrepreneurs and technologists in Portugal and one of the “top 10 tech events not to miss in Europe”, according to WIRED UK. 400 participants from Europe and beyond gather for two days in sunny Lisbon to make connections, learn and share ideas. With a great focus on content, SWITCH gathers speakers representing respected and well-known companies as well as rising stars unknown to some. All of this filled with networking moments in one of Europe’s most exciting cities. GigaOM presents the 5th annual Structure conference, June 20-21 in San Francisco, bringing together the leaders innovating, shaping and defining the ongoing cloud computing evolution.Over two days, our workshops and in-depth discussions will provide you access to the people and information you need to learn about the technologies that are powering the rise of cloud computing, internet infrastructure and big data applications. Structure features the top tech stars of cloud computing. TNW Readers get a 20% discount by signing up here! This day-long learning forum, hosted by Jugnoo, will help businesses better understand the power behind online personal branding, and how to use social to drive results; including ways to gain visibility on the social web and build valuable online relationships. Headlining are Gary Vaynerchuk and Amber MacArthur, both bringing years of social success to the stage. Early bird rate for Social Mix 2012 ($150) ends June 18th. 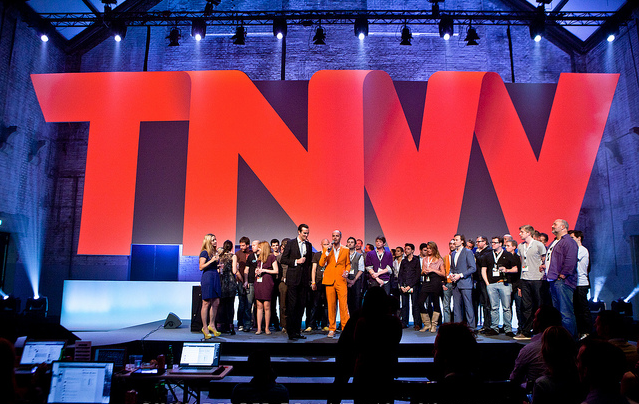 Get ready for the first international TNW conference. In August we’re bringing The Next Web Conference to São Paulo, Brazil. Brazil is the beating heart of startups and hyper growth in Latin America. TNW brings the world of tech to this fast growing market to support the ecosystem in Brazil and in Latin America as a whole. To share knowledge from worlds leading tech companies, to inspire and to do real business. Are you a Latin American company with ambitions? Or a company dying to enter or grow your business in this market? You should be at TNW Latin America. Grab the first early bird tickets with 45% discount!